I was pretty shocked and didnt realize that my core weakness is in the Value/Order/Factors section. Thus I'd like to practice this especially. Can somebody recommend practice questions where I can target these especially? Unfortunately the question bank from gmatclub doesnt let me filter in that granularity. I have completed the OG2017 Quant Q. already and will probably buy and tackle the MAT® Official Guide Quantitative Review 2019 next. Problems whose primary focus involves the use of, or the properties of, the absolute value function, where absolute value represents magnitude (i.e. Distance from 0). Problems for which one or more of the four basic operations—addition, subtraction, multiplication, and division—are applied to numbers in decimal form. Problems whose primary focus involves some familiarity of the meaning and properties of exponents. For example, a problem asking for the solutions to x^4 - 16 = 0 would not belong to this category, even though the exponentiated term x^4 appears, but a problem for which (x^2)(x^3) is needed to be rewritten as x^5 would belong to this category. Problems whose primary focus is on divisibility properties of positive integers, such as their factors, their multiples, prime numbers, the gcf (greatest common factor) of two or more positive integers, the lcm (least common multiple) of two or more positive integers, etc. Problems whose primary focus involves the use of order, other basic properties of a number line and the ideas of total or partial ordering, such as soccer team seedings in a tournament or an organization chart for a company. Problems whose primary focus involves the use of place value for decimal numerals. Problems whose primary focus involves the preservation or non-preservation of signs when signed numbers are added, subtracted, multiplied, divided, exponentiated, etc. Problems whose primary focus involves the use of, or the application of remainders in the context of dividing a positive integer by a positive integer. Hello Rogerkille ...welcome to the community. Then finally I would definitely take on GMATClub quant tests if I am aiming for 48-48+. Since you took the GMAT last Summer, that ESR discusses data that is about 9 months old - so there's some question about how relevant that data is to who you are NOW as a Test Taker. That having been said, while the ESR doesn’t provide a lot of information, there are usually a few data points that we can use to define what went wrong on Test Day (and what you should work on to score higher). Since you've purchased your ESR, then I'll be happy to analyze it for you. You can feel free to email or PM it to me (to include attachments, you need to have at least 5 total posts in the forums here though). 1) How long did you study before you took the GMAT? How have you been studying since then? 5) When are you planning to retake the GMAT? 1) How long did you study before you took the GMAT? How have you been studying since then? I studied for six weeks full time and took the test end of August. I started to study again two weeks ago again full time. Last summer I used the OG2016 which I worked through entirely for quant, almost entirely for verbal. Additionally I used the one month-study schedule from Magoosh which I worked through i.e. watched and summarized all the video content and completed 675 of their quant and 481 of their verbal questions. The Magoosh score predictor estimated my quant score to be between 38 and 44 and the verbal to be between 29 and 36. In the last few weeks I also used some of the MGMAT books, especially for the verbal part. I started to study again two weeks ago, focusing entirely on Quant. I read and summarized all MGMAT Quant books and completed all the Quant questions from the GMAT 2017 book. I'll send you those results as I cant attach it right now (only badly formatted, see below). 15 July: 450 (Quant 31,Verbal 21). The low score was because of very bad time management. 23 July: 680 (Quant 44, Verbal 38). The high score was because I retook the Prep Test from 8 July and I assume that some questions were identical. Actual Test on 23 August with 580 (Quant 38, Verbal 32). 4) What is your goal score? Last summer it was 700, now I revised it to 650. 5) When are you planning to retake the GMAT? On 13th of May. I studied now again since two weeks and now have another six weeks. 6) When are you planning to apply to Business School? As I received a full-time offer (starting summer this year) from the company where I did my internship I decided to skip the Masters and do a MBA in 3-4 years. The plan for now is to tackle my weak areas in Quant by using the questions from the forum here. Next step is to work through the OG2017 question again which I had wrong. Afterwards I want to work through the GMAT® Official Guide Quantitative Review 2019 questions. Following that I estimate to have another 3-4 weeks to revise again quant together with verbal. I have summarized all quant concepts on flashcards, especially those concepts where I need practice. Trying to review them once in a while. Besides I've got an error log. The summary I made from the Magoosh videos last year is too detailed, so I put the really relevant concepts on flashcards last summer - lucky I kept them! Looking forward to your response / feedback. I've sent you a PM with an analysis of your ESR and some additional notes and questions. Thanks! I replied via PM. I’m glad you reached out, and I'm happy to help. So, I realize that you are hoping to craft a master plan based on your ESR; however, since your ESR is 9 months old and provides such a small sample size of data, you need to make sure that you avoid the trap of focusing on micro-details of your ESR and thus misdiagnosing your weaknesses. For example, does your scoring 75% in Equalities/Ineq./Algebra mean that you are devoid of weakness in those topics? Not necessarily. Perhaps you were given many lower-level questions or had some lucky guesses in those topics. Furthermore, there is no way to know HOW MANY questions you were given from those topics, right? So, while I agree that you need to spend some time improving in Value/Order/Factors, since you scored a Q38 on your last GMAT, and since you were at 50 percent or lower in other categories, it’s clear that you have other weaknesses that need to be addressed as well. Overall, to improve your GMAT quant score, rather than just focusing on practice problems, you may consider following a more structured study plan that allows you to learn each GMAT quant topic and practice each topic until you’ve gained mastery. By studying in such a way, you can ensure that you methodically improve your quant skills and thus your score. If you’d like more specific advice on how to study GMAT quant, feel free to reach back out. Regarding quant resources, in addition to chatting with folks here, you should check out the GMAT Club reviews for the best quant courses. 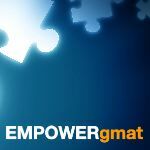 Lastly, you may find it helpful to read this article about How To Increase Your GMAT Quant Score.